HIGH QUALITY! UK TOP SELLER! FAST SHIPPING! RM POST!!! Due to various types of computers and monitors, the actual color of the item may be little different from the picture. Original order details or parcel label. If the product is computer software or an audio/video recording it must be unopened. 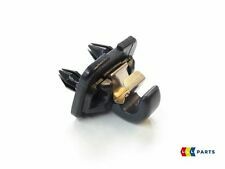 Centre Console Armrest Lid Latch Clip Catch Fit For Audi A3 8P 2003-2012. Fit For Audi A1 A3 A4 A5 Q3 Q5 2013-2015. SUN VISOR CLIP HOLDER HOOK BRACKET BLACK FOR AUDI A1 A3 A4 Q3 Q5 # 8W0857562A. Carbon Fiber Car Front Bumper Lip Splitter Fins Body Spoiler Canards Valence. Reference no: 8U0857562, 8E0857562. Compatible with 2013-2015 Audi A1 A3 A4 A7 TT Q3 Q5. 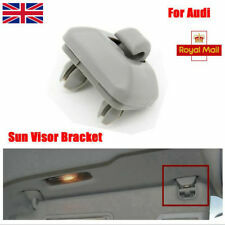 1x Audi Sun Visor Clip. Perfect match for the original car. Detail Image. We will try our best to reduce the risk of the custom duties. Sun Visor Holder Fix Bracket Clip For VW GOLF MK4 MK3 CADDY LUPO POLO. VW LUPO FROM 1998 TO 2006. VW TRANSPORTER, VAN OR CAMPER FROM 1991 TO 2003. Edge Guard Trim Protector BLACK U Profile 5M Roll Moulding Trim Strip Car Door. OEM NO. : 8U0857562A. For 2009-2016 Audi Q5. For 2007-2016 Audi TT. For 2011-2015 Audi A1. 2 sun visor hooks. For 2004-2016 Audi A3/S3. For 2005-2015 Audi A4/S4. For 2008-2016 Audi A5/S5. To FitRear Window,Side Window,Windscreen. Sun Shade TypeFolding Sun Shade. Due to various types of computers and monitors, the actual color of the item may be little different from the picture. Manufacturer Part NumberDoes not apply. 2PCS Sun Visor Clip Hook Compact Modification Part Easy To Use For Audi A1 A5. For 2009-2016 Audi Q5. For 2007-2016 Audi TT. For 2011-2015 Audi A1. 2 sun visor hooks. For 2004-2016 Audi A3/S3. For 2005-2015 Audi A4/S4. Zed - Got it for travel in Spain. Result is good, major difference of seats that don't burn your balls off and dash that doesn't feel like furnace. Well worth the price. The silver foil filters out bright light and reduces the sun's heat. Grey Interior Sun Visor Clip Holder Hook For Audi A3 A4L A5 Q3Q5 B0. For Audi A3 A4L A5 Q3Q5 TT. -Color: Grey. 1 X Car Clip. Unique appearance. Front, Left, Right. -Size: As the picture shows. We have many years experience in the automotive components and fasteners industry. If there are any problems, then we will try to resolve them for you. Fits for Audi A3 8P 2003-2012. 1 x Console Armrest Cover Latch Clip. -Color: Black. Durable and long service life. 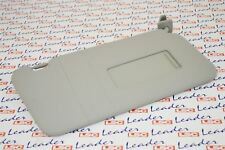 FIAT PUNTO MK2/MK3 DRIVERS SIDE SUN VISOR (1999-2006). 4.5 out of 5 stars - FIAT PUNTO MK2/MK3 DRIVERS SIDE SUN VISOR (1999-2006). 4 product ratings4 product ratings - FIAT PUNTO MK2/MK3 DRIVERS SIDE SUN VISOR (1999-2006). FIAT PUNTO / FIORINO / DOBLO / PALIO / ALBEA. SUN VISOR CLIP / MOUNT BRACKET. Colour is light grey. Our Part Number : Sun m105. THIS PART SUITABLE FOR Rest of world. We can solve all of problems easily and fairly. TypeCar Sun Visor. Has night anti-glare for more concentration on driving and at night. 1 Sun Visor. Gives protection to the user or people in the front seat who are more vulnerable to sun rays. ColorYellow and black. Grey Sun Visor. Splash (08-16). UK Drivers / Right Hand Side. Genuine OEM. Q3 2012-2018. Q5 2009-2018. A5 2008-2018. A3 2009-2018. TT 2011-2018. New Genuine Audi Sun Visor Retaining Clip in Black. A4 2008-2018. Size: 110 65mm Quanty: 1 Pc. 1x Car Sun Visor Mirror. Beautiful decorative effect. The product is used in the car. Intimate Design. Also note that monitor settings may vary from computer to computer and may distort actual colors. AUDI Q3 (2012 - 2017). AUDI Q5 (2013 - 2017). AUDI A5 (2012 - 2017). AUDI A3 (2013 - 2017). AUDI TT (2011 - 2015). § Rearview mirror rain shield x 2 (Pair). v Effectively deflects rain and maintains clear views for the rearview mirror. In cold weather, you'd better heat the adhesive tape by hair dryer. v 100% Water proof & heat proof, never fade under any rigorous condition. Plus, it can easily adjust the position in the most convenient setting you want. Quantity：1PC. Part Number:8E0857562A;8E0857562. Inner Sun Visor Hanger Clip Bracket for 2013-2015 Audi A1 A3 A4 A5 Q3 Q5. 2013-2015 Audi A1 / A3 / A4 / A5 / Q3 / Q5. 1 x Inner Sun Visor Hanger Clip Bracket. Detail Image. Has night anti-glare for more concentration on driving and at night. 1 Sun Visor. Gives protection to the user or people in the front seat who are more vulnerable to sun rays. Quantity: 1pc. Color: Yellow(As Pictures Show). Vivaro A 2001-2015. Astra F 1992-1998. Corsa B 1993-2000. Colour: Grey. There are two types available - We only have this type. FOR YEARS: 2001, 2002, 2003, 2004, 2005, 2006 (2002). Part Manufacturer Number: 8U0857562A. Audi Q3 2011-2016. Audi Q5 2008-2016. Audi A3 2012-2016. BLACK Sun Visor Mounting Clip Hook Adapter for Audi. Audi TT 2006-2014. Audi A4 2007-2016. for Audi A1 2011-2016. New Auto Roof Sun Visor Clip Holder Hook Stand Black For Audi #8W0857562A. -Part Manufacturer Number: 8W0857562A. for Audi Q3 2011-2016. for Audi Q5 2008-2016. for Audi A3 2012-2016. for Audi A4 2007-2016. 2 X FIAT PUNTO / FIORINO / DOBLO / PALIO / BRAVO / BRAVA / MAREA / 500. SUN VISOR CLIP / MOUNT BRACKET. Price for 2 X BRACKET. Colour is light grey. 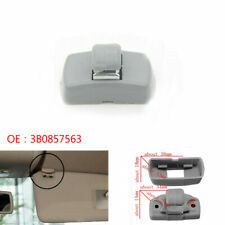 New Auto Roof Sun Visor Clip Holder Hook Stand Grey For Audi #8W0857562A. -Part Manufacturer Number: 8W0857562A. For Audi Q3 2011-2016. For Audi Q5 2008-2016. Audi Q3 2011-2016. For Audi A3 2012-2016. Will Fit BMW Mini Cooper One S & JCW Models WITHOUT SUNROOF in R50 and R53 Hatchback Formats 2001-2006. BMW Mini Passenger Side Sunvisor with Vanity Light and Mirror. Removed from 2002 Audi TT Mk1 Coupe with grey interior. Reference no: 8U0857562, 8E0857562. Compatible with 2013-2015 Audi A1 A3 A4 A7 TT Q3. 1x Audi Sun Visor Clip. Colour: Gray. Perfect match for the original car. Stable characteristics, high reliability. Plus, it can easily adjust the position in the most convenient setting you want. Quantity 1PC. Universal Motorcycle Exhaust Can Muffler Insert Baffle DB Killer Silencer. Fit for Audi A1 A3 A4 A5 Q3 Q5 2013-2015. Carbon Fiber Front&Rear Bumper Protector Corner Guard Scratch Sticker 2Pcs. Silver Edge Gap Line Interior Point Molding Accessory Garnish 5M for Car. OE Part Number 735362757. Fiat Panda 2003-2011 Offside / Right Hand Sun Visor. A new sun visor clip for Jaguar XJS. Vivaro A 2001-2015. Vectra A 1988-1995. Astra F 1992-1998. Corsa B 1993-2000. Quantity:1 Piece. There are 2 different types of this part that fit your car. Colour: Beige. Stretch Sunshade - easy to install and accept them quickly. 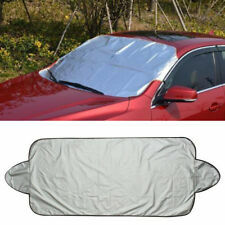 Item Type: Car Side Window Sunshade. 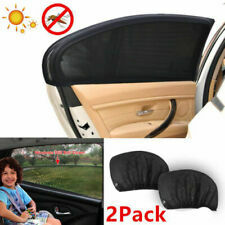 2 x Car Side Window Sunshade. it won't hurt your car's paint job or its interior, either. This durable, lightweight fabric simply pulls down over the car door. Description: Car Sun Visor 8 Pocket Organizer Features: - 8 Pockets - Straps for attachment to existing car visor - Ideal for cd storage in car - Easy access to visor mirror - Easy access to CDs/DVDs in soft protective slots.